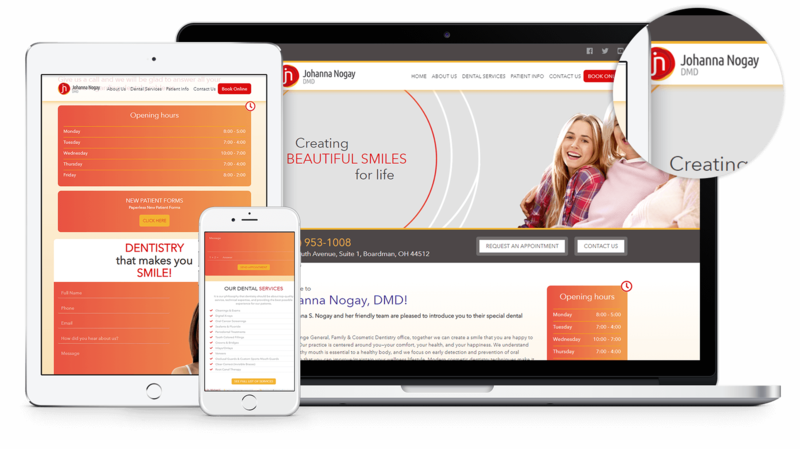 Boardman Smiles is a full range general, family, and cosmetic dentistry office creating beautiful smiles for life in Boardman, Ohio, and their website was due for an update. MarketDental is pleased to have been chosen again to complete this redesign. Dr. Johanna Nogay is known for her friendly and personalized patient care and our design inspiration was drawn from that, paired with her bright logo colours. The new website is fully responsive across all browsers and the bright, cheerful colour palette reflects the friendly environment of the practice. We’ve also made sure to publish the site with full SSL encryption - which is fast becoming standard for all websites, not just e-commerce sites.